How can I commission an artwork? Are you thinking of commissioning a family portrait or a pet portrait? Do you need a special gift for a newly married couple or a very special birthday present? Want to bring more colour and joy into your life? 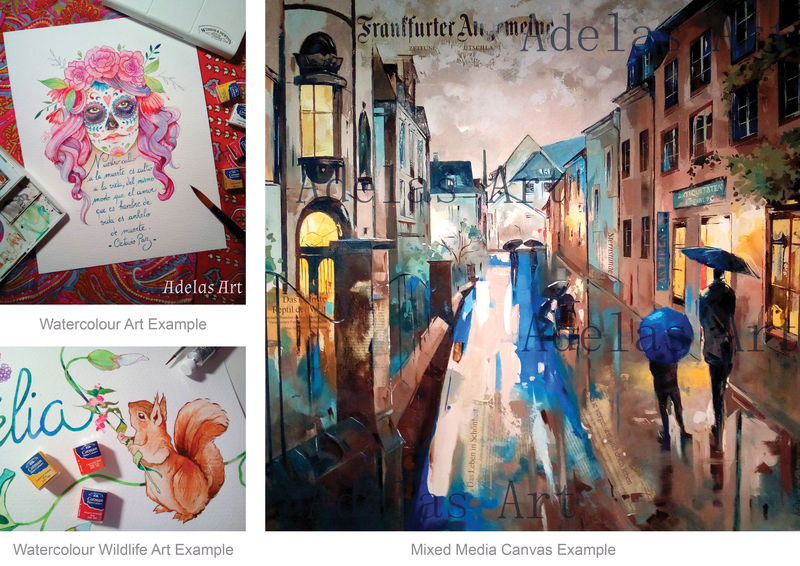 Then commission yourself an Adelas Art smile inducing art creation today! Just sent me a message to request your art commission and quote. Please include details of what you envision like style (mixed media or watercolour), rough idea of art size, theme (do you have an example of mine you can reference? ), art idea (floral painting, portrait, pet portrait, nursery art, wildlife art, etc.). I create mixed media canvas art, watercolour art, people and pet portaits (in mixed media or watercolour style), wildlife art and urban landscape paintings. Please see below some art example imagery. The time to complete your request will depend on the size, medium and complexity and will range from 6 weeks to 12 weeks. Note: a 50% deposit is expected prior to starting any work, the remaining 50% sent at the project's completion. 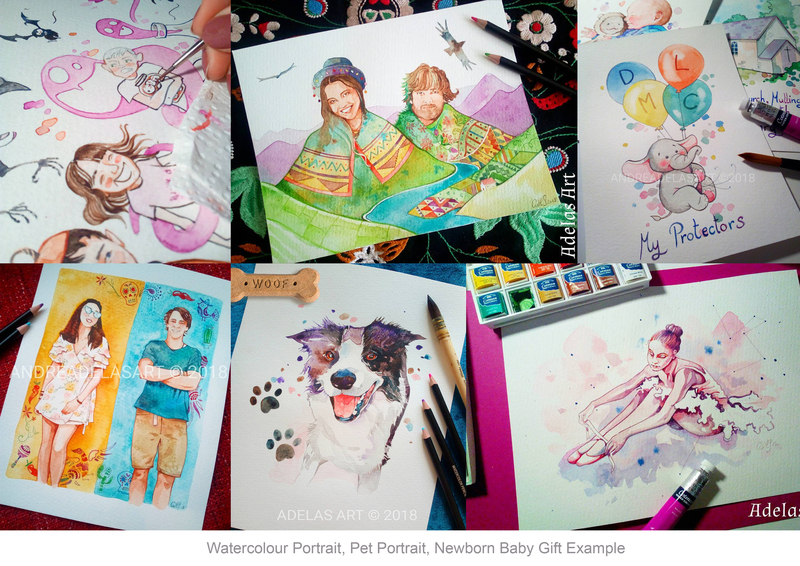 In the event of cancellation of this assignment, the 50% deposit is non-refundable and ownership of all copyrights and the original artwork shall be retained by Adelas Art. REQUEST A COMMISSIONED ARTWORK NOW!